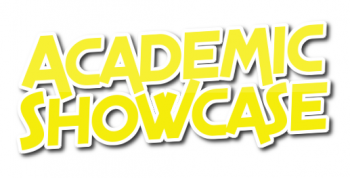 On Friday, March 29th, at 6pm we will be hosting our annual Academic and Fine Arts Showcase (AFAS) evening! AFAS is an excellent opportunity for high school students to receive awards in recognition of their hard work in academic and fine arts; as well as students of all ages to display everything from science projects to art pieces, musical talents and dance choreography. Our showcase evening is always a fun time of talent and fellowship! High School students may apply for Academic Awards that will recognize their hard work in the 4 main academic subject areas (Math, Science, Social Studies, Language Arts) or any Fine Art pursuit in which they have received instruction for greater than 3 years. They may also apply for the “Spirit of Mobile” Community Service Award, and senior students may apply for the Academic Gold Medal Award. All students (K-12th) may apply to participate in the program which will showcase a variety of talents and will receive a participation certificate. Application Forms for awards and/or program participation are due no later than March 1 and are available for download HERE. Please contact Lee or Renee if you have any questions about Showcase.